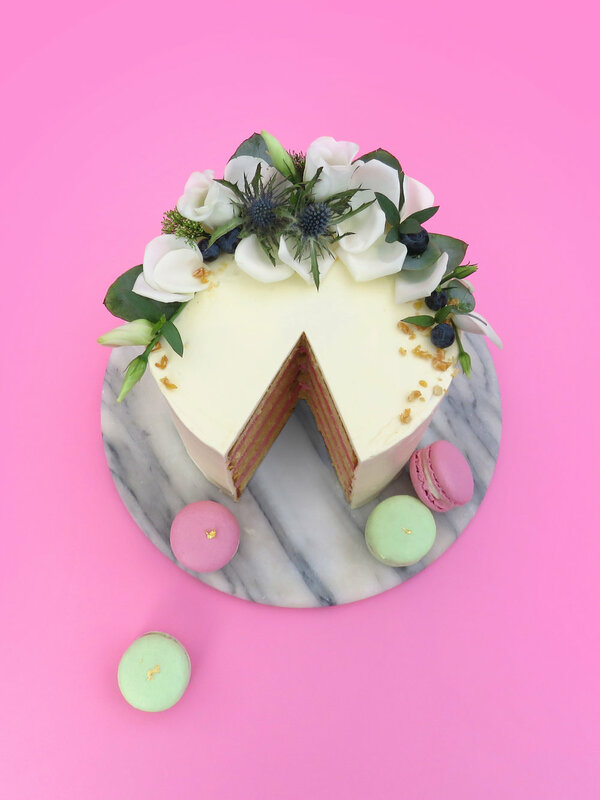 All our cakes are baked fresh to order and made up of at least three layers. 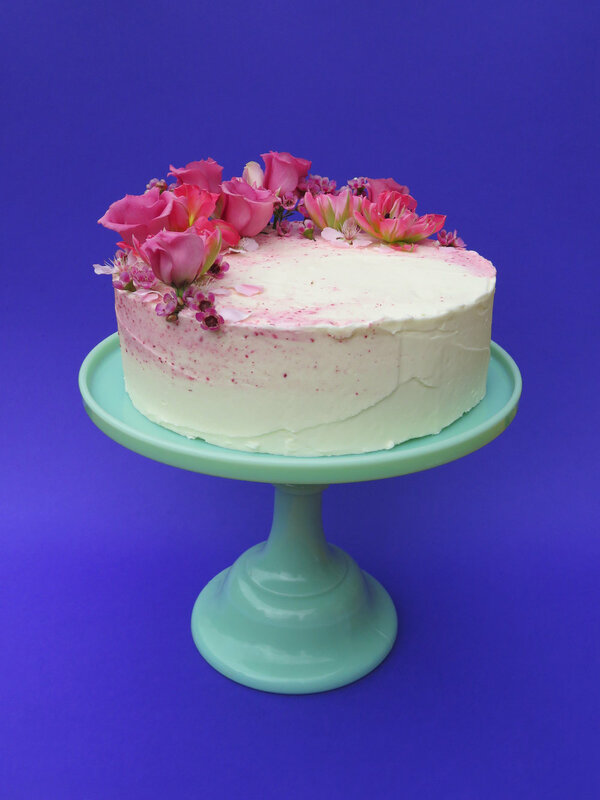 We use a Swiss meringue buttercream which is deliciously smooth and never too sweet. 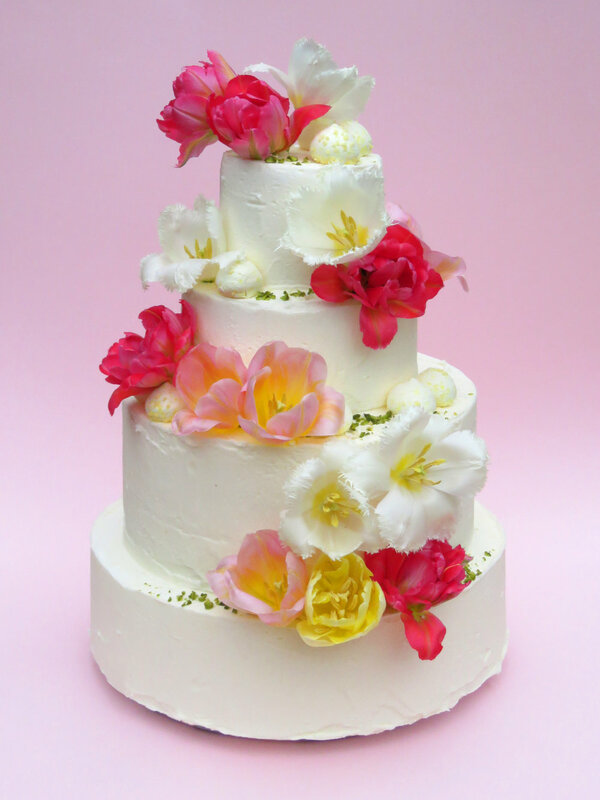 As each cake is bespoke we're always happy to work with your ideas to create something special and personal to you. Prices start at £4.50/slice, with a minimum order of £45 for a single tier 8" layer cake which would feed 10-12. 01. Vanilla sponge + raspberry jam + vanilla buttercream 02. Lemon sponge + lemon curd + lemon/vanilla buttercream 03. Chocolate and salted caramel 04. Coconut sponge + white chocolate and passionfruit ganache filling 05. Spiced carrot and walnut + orange cream cheese frosting 06. Almond sponge + fresh raspberries + raspberry buttercream 07. Rose + pistachio 08. Rich chocolate sponge + chocolate ganache / flavoured buttercream. These flavours are only a guide, for any dietary requirements please enter info in the notes section below.